1. Go to the right place to find songs. You could search video sharing sites such as YouTube and Vimeo. They have vast libraries of music videos and some will also be subtitled with the song lyrics in English. Spotify, a subscription service, is fantastic because they have a huge selection which you can take on the go. It’s also useful to see what’s trending and popular. 2. Select the right songs. Pick music you love. There’s no point to learning English through songs if you don’t really enjoy the music. This is the fast track to boredom. Find music that uses the right kind of language. Language which is not too easy or too hard, and which is commonly used. Another thing to watch out for is that sometimes sometimes singers won’t pronounce the sound clearly. Perhaps heavy metal isn’t the best place to start. You might want songs that tell a story, which could make it easier to understand and visualize. If you are a real beginner you might even want to learn children’s songs or Disney songs. Start with pop music and then branch out. Mainstream, pop music tends to be about love and romance, which is good because there is a lot of repeated vocabulary. When you are ready to branch out, you can try more diverse genres to pick up a wider range of vocabulary. 3. Get “scaffolding” and vocab support to digest the lyrics. Music English is a collection of music videos on YouTube which have captions. 4. Study the lyrics and vocab. 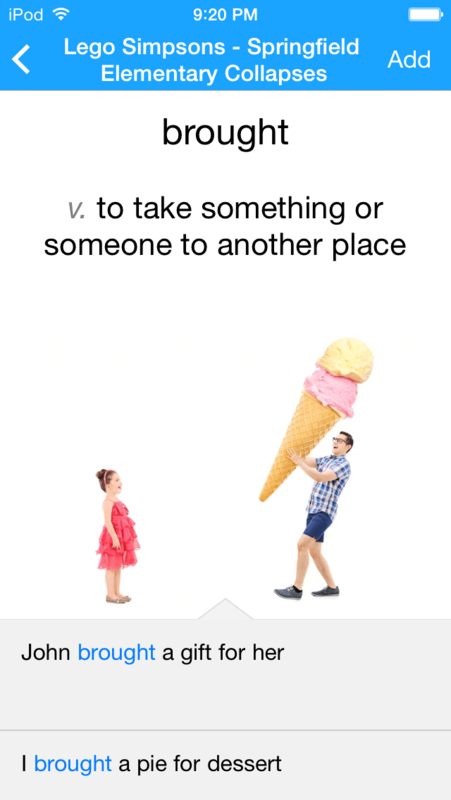 In addition to digesting the content, it’s also important that you review the vocab on a regular basis. Break the song down, word by word, and try to master each word so that it’s a part of your vocabulary. You can do this through a flashcard service like Anki or Mental Case. Unless you’re singing in front of an audience, it doesn’t matter if you’re the worst vocalist in the world. So don’t worry if you don’t possess any musical ability. Regardless of your singing prowess, you should try singing out loud to the music. This forces your mouth to adopt the right shapes and move with the rhythm of the song. 6. Try to sing from memory. After a while, you should find that you’re starting to memorize the song. And then you’re ready to take the next big leap – try singing the song without looking at the lyrics. By the point, you should be able to find that you can do a much better job including such words in your everyday speech. You don’t have to complete learning one song before you move to the next. In fact, after you get comfortable with one song, you can move to the next. And then after enough time passes, you can go back to the first song. This is called “spaced repetition” and it’s been proven to be more effective than trying to learn it perfectly all at once. 8. Find new music that builds on top of what you’ve learned. This is perhaps the most difficult step. Each new song that you learn should have the right balance of totally new vocabulary and in progress vocabulary. This right level of overlap keeps you motivated, and also naturally reinforces your previous learning for maximum benefit. Have fun and enjoy! Music is a universal language and one that we can all enjoy and relate to. Listen to English songs every single day and you’ll soon be surprised at how much of the English language you can pick up with relative ease. When you incorporate language learning into fun activities like listening and singing aloud to music, you won’t even notice that you’re picking up a second language. Previous Previous post: क्या आपको तिरंगे के रंगों का अर्थ पता है?